By many considered the finest rangefinders ever to come out of KMZ. The Zorki 3 and 3M are also the best looking rangefinders. The big difference between them is that the Z3 has a slow speed knob on the front and the 3M has all the speeds (including slow speeds) on speeddail itself. It still looks a lot like the Zorki 1 just a bit bigger. The tripod mount moved from the rightside to the middle and was raised above the casing. 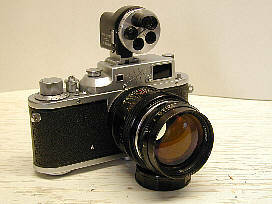 It lost the middle viewfinder and now has a big viewfinder on the left (from a users point of view). But more speeds, 1 to 1/1000th. Nicely engraved, no silkscreening or paint-ons here. The J9, an 85mm telephotolens is one of the best lenses around. Coupled with enough speeds to make it more interesting. 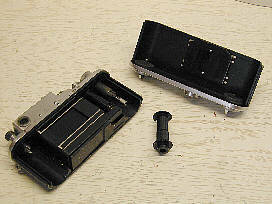 The 3 and 3M are the first of the Zorki Rangefinders to be fitted with a removable back. Making loading easy. There are not many variations, in fact there are no variations for the Zorki 3 and 3M. Except for a Zorki 3 and 3M military version. These seem to have been olive drab ones. 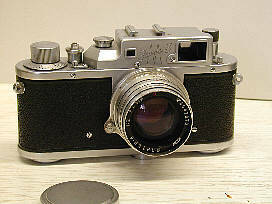 To me this is a very special camera, better finish than the later Zorki 4's certainly better looking than the Zorki 4's. It only lacks a flash sync but on this camera I don't really mind. In the field of Russian rangefinders it has only one competitor, the Fed 3a. Standard the 3 and 3M came with the Jupiter 8 silver a 50/2 mm lens. A good lens. Sharp and fast. Personally I prefer the 3M over the 3, just because all the speeds are on one button. 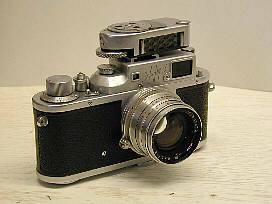 And it is a lot cheaper than a Leica IIIF.